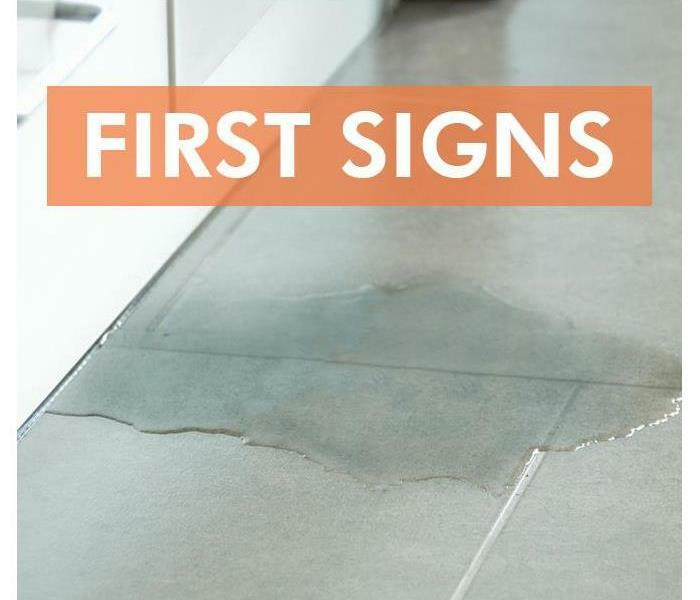 Give SERVPRO a call at the first signs of water leaks. If you own a commercial building in Sleepy Hollow, IL, it is likely that you have experienced at least a few water problems. Sometimes these are easy to fix, but some problems, like leaking pipes, can cause lasting damage. If you have any of the following issues, it is best to have them repaired as soon as possible. This problem is not exclusive to leaking pipes. Any equipment in your building that uses water, such as sinks, toilets, drinking fountains and washing machines, can contribute to this issue. Over time, if the leak is not repaired, it can cause damage to the building and cost you money by adding to your water bill. If you are having trouble with sink or toilet backup, then you may have clogging in your drains. Certain items, when they are flushed down the toilet or rinsed down the sink, can contribute to a blockage in the pipes leading away from your building. When this happens, the water will not drain as quickly as it should which can cause backups in the plumbing. In order to prevent this, you should be clear about what items can be disposed of in this way. Along with leaks, a pipe break is a common source of water damage. In some cases, such as frozen pipes, this can be caused by severe weather. Other times, it is simply the result of normal wear and tear. Be sure to do regular maintenance on building materials and equipment to reduce the likelihood of broken items. While leaking pipes and other problems can cause quite a bit of damage to your property, a water damage restoration company can help get everything back in working order. It is best to catch these issues early to keep them from worsening, but even large amounts of damage can be repaired by experienced professionals. Mold cleanup is a significant undertaking and one that is only complicated in commercial and rental properties. Beyond the threat of black mold, mold spores can spread throughout a property well beyond the initial contamination site. Therefore, to protect your property and tenants, it is essential to take the appropriate steps to reduce the risk of spread. When you have a mold problem, ventilation can be your enemy. 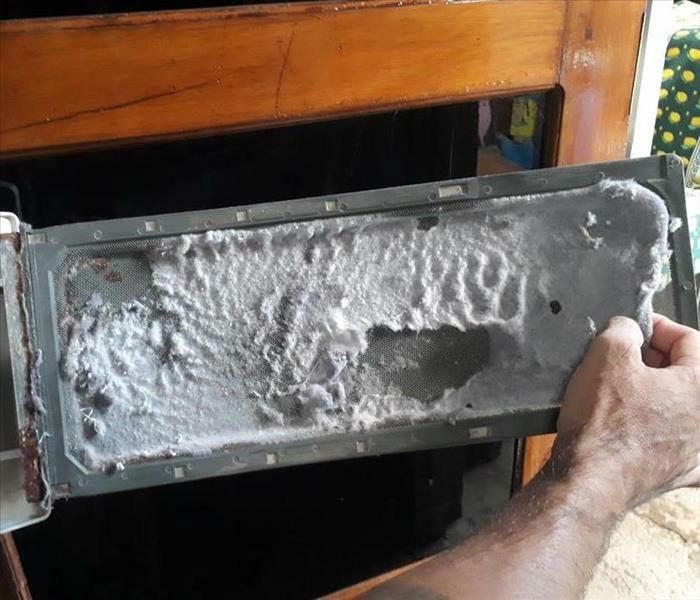 While ventilation is useful for preventing initial mold growth, it can actually contribute to the spread of mold when a problem already exists. Therefore, to limit exposure, you should close doors and windows in an attempt to quarantine the problem to one area. While not always possible in commercial properties, you should turn off the HVAC system to the building. Leaving an HVAC unit on can increase the spread of the infestation by sucking and pushing mold spores through the ducts and throughout the property; this is especially important when dealing with black mold. If it is not possible to completely turn off the unit, then you may want to adjust the temperature settings to limit how often the unit turns on. If the mold issue stems from a moisture problem caused by a leaky or broken pipe, then it is wise to turn off the water to that pipe. While it may not be possible to completely shut off the water supply to the building due to tenant rights, most rental properties will have individual shut-offs for each unit, allowing you to turn off the supply to the contaminated unit. Any fungal problem should be dealt with by a mold remediation specialist in the West Dundee, IL, area. These individuals are trained and certified in safe removal practices, meaning that you and your tenants are protected. Any mold problem, especially toxic black mold, should be handled with care. The main concern is limiting exposure by preventing the spread of mold spores. Therefore, follow the steps above and contact a specialist. Insurance companies prefer to work with mitigation and restoration companies that make it easier to process and settle claims. SERVPRO supports insurers in several ways, including an internal company-wide Participation Agreement that identifies Preferred Vendors, a suite of electronic claim services and an all-in-one approach to mitigation and restoration. Insurance jobs are only available to franchises that meet the terms of a 21-point Participation Agreement administered by the national corporation. Franchise owners must agree to perform background checks on employees and maintain insurance coverage. Insurers should also make sure that a franchise has an Institute of Inspection Cleaning and Restoration Certification. Insurance agents and adjusters should be able to access claim information and estimates online. The Claims Information Center is an electronic resource designed to reduce communication delays and promote faster claim processing and settlement. A full suite of claim services makes it easy for insurance representatives to compare individual claims with local, regional and national data on causes of loss, job costs and emergency response times. This resource provides access to claim documentation for clients as well as data for a franchise location in Barrington Hills, IL. Insurance claims that involve separate mitigation and restoration companies are likely to be more complicated. In addition to multiple estimates, insurers and clients may also encounter issues such as delays, scheduling discrepancies or miscommunication. Given the time-sensitive nature of limiting and restoring damage, any of these issues may result in a less successful recovery effort. Combining these services allows for a more accurate initial estimate and prevents delays and dropped lines of communication. These are only three of the ways in which SERVPRO facilitates the processing and settlement of an insurance claim. Property owners and insurance representatives can rely on helpful claim services throughout the mitigation and restoration process. You and your family may want a getaway, but you don't want to come home to a watery mess that leaves you scrambling for water pipe repair and flood remediation services. To make sure your home in Carpentersville, IL, is safe from water damage during your vacation, check the following items off your to-do list before you leave. Look for weak spots and have them repaired. By ensuring that all these things are in good working order, you can prevent damage while you're gone. 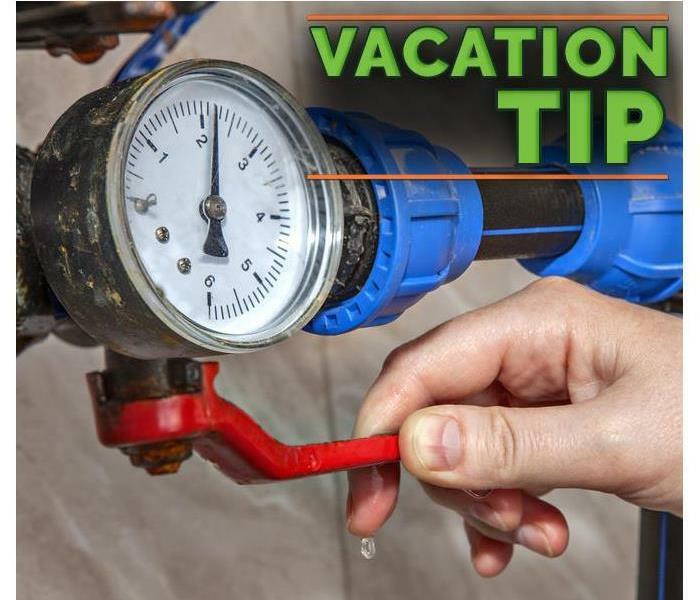 Water pipe repair and cracked hose replacement are not the only ways you can protect your home during vacation. In addition to making sure everything works, add backups and protection to make sure they continue to do so, even if conditions change. For example, installing a backup battery on your sump pump keeps it working even if the power goes out. Adding insulation to both indoor and outdoor pipes and fixtures provides an extra layer of protection against freezing. If you want extra assurance that your home will be safe while you are enjoying your trip, seek out the assistance of a trusted neighbor or friend. Friends can make sure the heat stays on in the winter, pick up your mail and check for sudden problems that may cause damage. In addition to providing a key the person watching your home, it is also a good idea to show him or her how to turn off the water main to prevent your home from being flooded. Protecting your home is part of planning for your trip. Make your vacation more relaxing by taking the steps needed to know your home is safe. A mold inspection can be nerve-wracking because you have to wait and see how manageable and expensive the remediation process is going to be. Most house mold, while invasive and costly, is not necessarily toxic. However, some mold is toxic and should never be handled without the proper gear and precautions. It is necessary to say that simply because a mold is black does not mean it is toxic. The toxic kind is actually called Stachybotrys and should be handled by a remediation specialist. Toxic mold can present a significant health risk, demanding the use of specific safety measures. There is no visual way to determine if the mold in your home is toxic. You will need a mold inspection to make that assessment. However, you can determine if you are dealing with mold or mildew. Mold is typically textured and fuzzy in appearance. Mildew, alternatively, is flat, appearing as a surface stain. Mold requires damp locations, which is why the most humid areas of your home are the most likely to acquire mold problems. Check basements, attics, bathrooms, laundry rooms and kitchens first, if you suspect a mold issue. 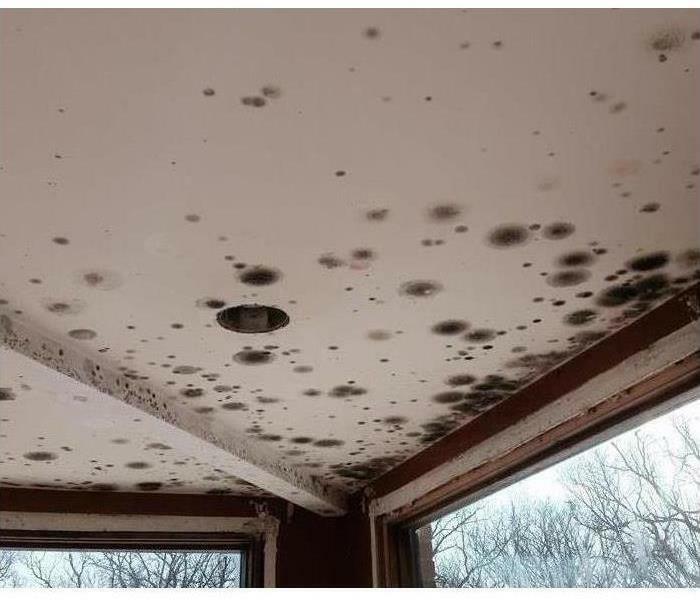 While some levels of mold infestations can be handled on your own, it is often better to hire a mold remediation specialist in the Carpentersville, IL, area. These professionals have the proper certifications and knowledge of mold varieties and safety procedures to ensure your home returns to normal. While a mold inspection can produce anxious feelings, it is for the best when you suspect a mold problem. The number of species means that your home could be infested with something toxic, and it is always better to know. 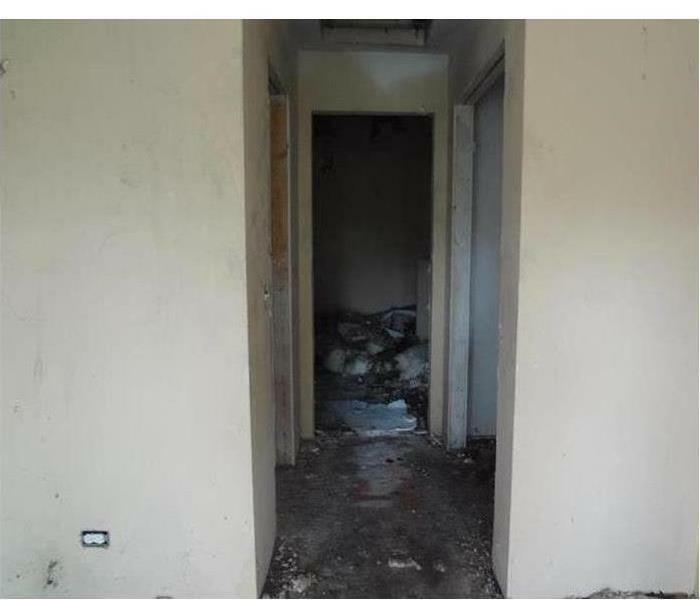 Therefore, have an inspection and seek out the advice of a remediation specialist in the necessary steps to combat your potential mold problem. When the adjuster and the contractor agree on the job and the price, the contractor takes over. The two shouldn’t connect again until the work is complete. Unless there is a change in scope, the contractor should complete the work unassisted. An insurance adjuster never wants to hear that there is a change in scope. It shouldn’t happen, but it comes with the territory. Here are a few situations where the adjuster must get involved before the completion of the work. The contractor discovers additional damage. The adjuster missed something. There was some hidden damage not in the original insurance claim. The contractor discovered unrelated problems like mold. These all require the adjuster to revisit the claim and adjust it. The client is obstructing the work. The contractor may only have limited access to the job site. The client is requesting something more than a straightforward restoration. Any time the client inhibits the restoration effort, it is a problem for the contractor. It is a problem for the adjuster if the contractor cannot resolve it. Restoration forces compliance with current zoning laws. Assume that an event covered by your insurance destroyed your front stairs. Also, assume that those original front stairs didn't follow current zoning regulations. The contractor discovered this, and the job has suddenly changed. The new stairs must conform to the current zoning restrictions. An insurance adjuster can depend on SERVPRO to do the job quickly and to the highest standards. 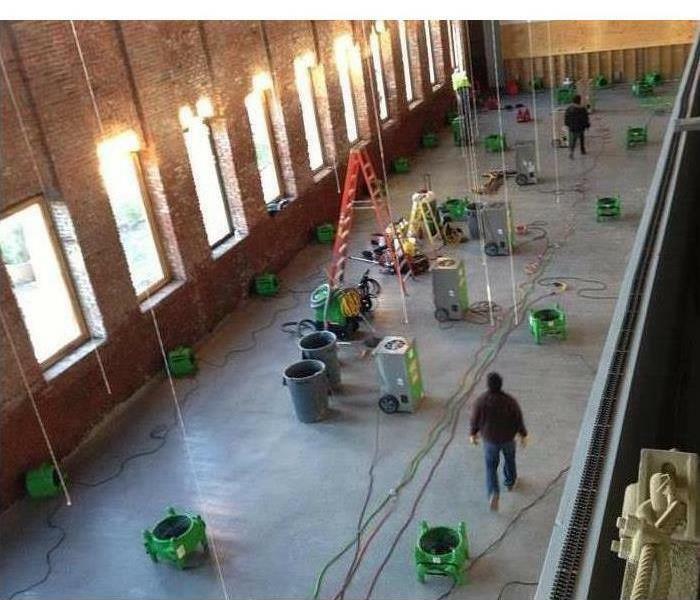 This quality work happens in Carpentersville,IL, and across the country. SERVPRO is here to help. Commercial Roof Damage in West Dundee, IL. Roof damage is one of the leading concerns of all property owners but especially commercial property owners. Business facilities are expansive, and when there is significant damage to the roof, it typically means a bill that is in the tens of thousands. Therefore, owners should consider utilizing a proper inspection and maintenance schedule that focuses on the four areas of common wear and tear. 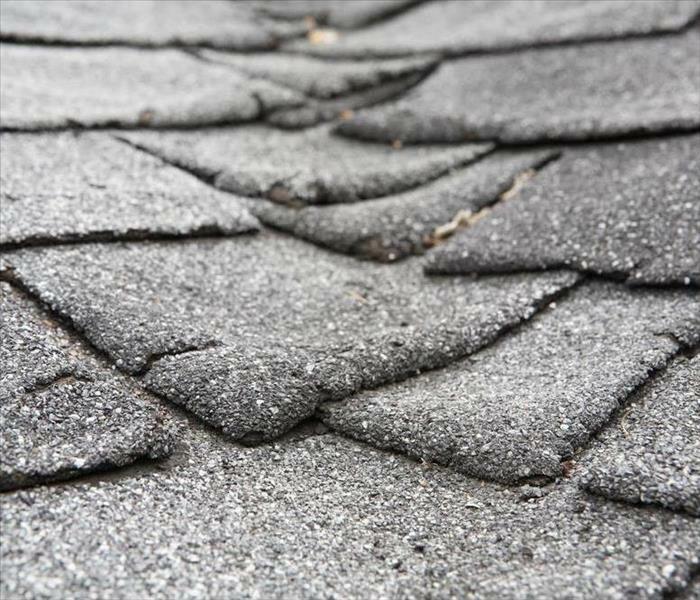 Wind damage can lead to missing shingles and exposed underlayment. After every storm, especially those with stronger than usual wind gusts, you or a property manager should inspect the roof for damaged or missing shingles. A good rule of thumb is to search high and low because you may find shingles in the grass alerting you to a more significant issue. Water can cause extensive roof damage, and that damage is likely the result of sealant cracking or wear and tear. Inspect your roof at least once a year to ensure that all sealant is intact. If you come across old or cracking sealant, then remove all the old and replace it with new. Clogged or congested gutters can lead to water overflowing and seeping under the roof line. This problem can lead to other issues on the interior of your property, such as water staining or drywall cracking. It is best to have a set schedule for gutter cleaning or to hire a service to maintain them. While maintenance and routine inspections will help to prolong the life of your roof, a roof rebuild or installation is inevitable. Every roof has a projected lifeline and to reach that limit, you should have a restoration specialist in the West Dundee,IL, area on standby for annual inspections or in case of severe storm damage. Inspecting and maintaining a roof can minimize the risk of severe roof damage. However, nothing is foolproof. To reach the full age of maturity, a roof must be cared for, and keeping an eye on the four areas above will help you do just that. Mold can spread quickly and can be in places you may never see. Black mold is the boogeyman of many homeowners. We know it’s unpleasant to look at, but just how much do you know about the real threat mold poses in your East Dundee, IL home? Read up on these surprising facts about mold to get a real handle on this household menace. While the dark kind is most sinister, mold can come in orange, green, purple and even pink or white. This all depends on the organisms making up the mold and that plays a big part in what you do to clean it up. Whatever the color, mold is not something you should ignore in your home. While the terms mold and mildew are often used together, these are two different things. They’re both fungus. However, while mildew only grows on surfaces, mold has roots that can take hold where the eye can’t see. This is one of the top reasons that it’s so hard to get rid of it - the leftover roots mean it can re-establish itself easily. Despite advances in mold cleanup, there’s no true, practical way to eradicate all mold spores in an indoor environment. They’re too light and too numerous. Instead, the answer to preventing black mold growth is controlling moisture. That means staying on top of leaks and drips, cleaning wet materials and preventing condensation. Black mold can grow just about anywhere, feeding on wood, paper and even carpet in your home. 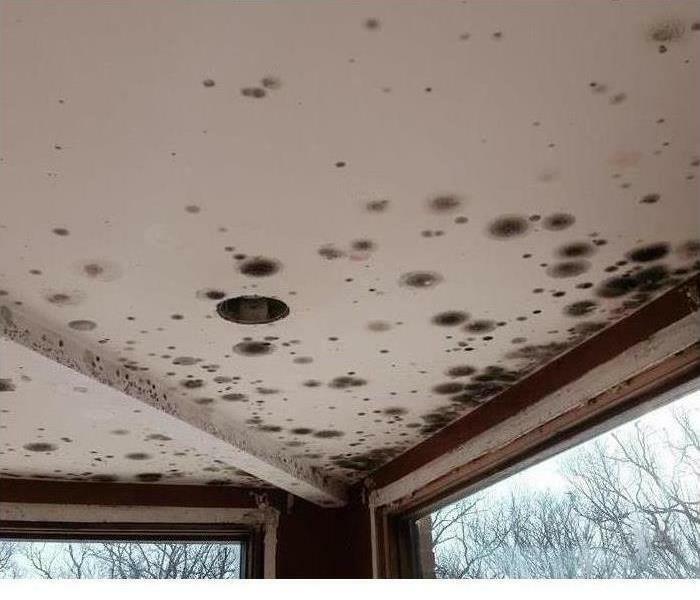 If you’re tired of fighting the fungus, connect with a mold remediation expert to explore your options. 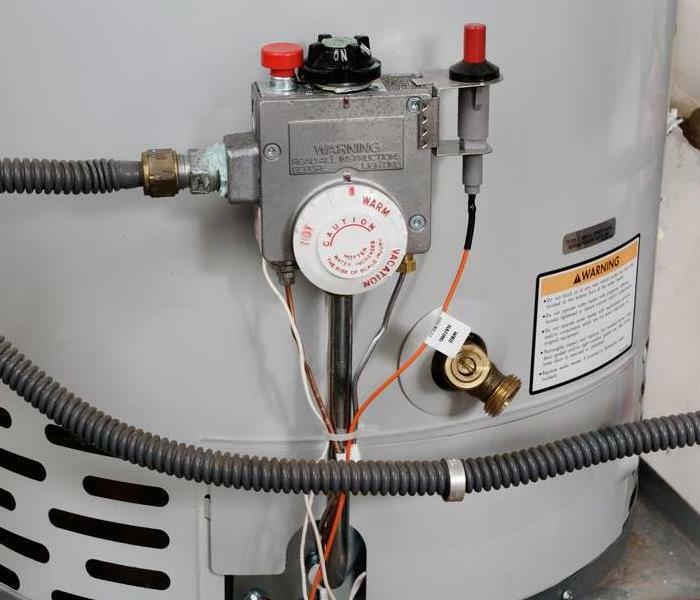 Keep you water heater in your Carpentersville,IL , home in shape. Polar bears and penguins probably don’t mind taking cold showers. Because you are neither a polar bear nor a penguin, you must keep the water heater in your Carpentersville,IL , home in tip-top shape. Fortunately, before your home’s water heating system quits altogether, it will likely give you some warning signs. Most water heaters operate without making much noise. If you hear grinding, clunking or other sounds coming from your water heating system, you may need to service it. Often, when sediment accumulates at the bottom of a heater, the unit will emit unpleasant sounds. Scheduling a water heater flush is usually an effective way to remove sediment and restore your unit’s quiet operation. If you do not regularly maintain the unit in your home, you may be asking for a flood. After all, leaky water heaters can pump a tremendous amount of water into the living area of your house. While replacing an old, damaged or ineffective system is likely your best strategy for keeping your home in excellent shape, you should have a preparedness plan to address flooding. By working with a water damage repair service, you remove standing water from your home. You also curb mold and mildew growth. When you step into your shower, you expect a warm and pleasant experience. Naturally, if you prefer not to freeze, you need a water heater that functions optimally. While age, sediment and damage can cause your home’s water heating system to malfunction, you can extend the life of your unit with a bit of maintenance.